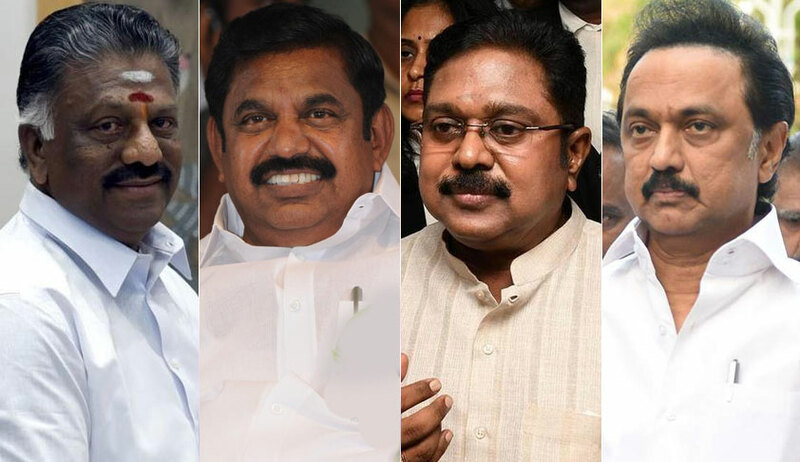 Eleven days after the Madras High Court delivered a split verdict on the petitions challenging the disqualification of 18 dissident AIADMK MLAs owing allegiance to AMMK leader TTV Dhinakaran, the Supreme Court has been moved in a plea for transfer of the same to itself. A vacation bench of Justice Arun Mishra and Justice Sanjay Kishan Kaul agreed to urgently hear the petition on Wednesday. The transfer petition, filed by aggrieved MLA P Vetriivel, contends that the Speaker of the Tamil Nadu Legislative Assembly has acted malafidely in as much as he had not even issued notice on the disqualification petition filed against 11 other MLAs in March 2017, when they voted against the motion of confidence taken out by Chief Minister Edappadi K Palaniswami, viz-a-viz his conduct in the present case in issuing notice on the same day and deciding the petition within three weeks without according an adequate opportunity of being heard. It is pertinent to note that the writ petitions pertaining to the issue of disqualification of 11 other MLAs were disposed of by the high court on April 27. The matter has now become sub-judice before the Supreme Court in appeal. “Therefore, the issue of malafide of the Hon’ble Speaker is pending before this Hon’ble Court and hence the present transfer is being sought for,” avers the petition. The prayer for transfer has been stressed in view of the delay caused in deciding the present matter, due to which the constituencies of these MLAs have been suffering for almost a year now. “...the Constitutional mandate is that if a seat falls vacant, the Election Commission has to conduct the election within a period of 6 months, the reason being that a constituency cannot be left without an elected representative for so long. Projects are stuck for lack of approval in these constituencies...roughly one tenth of Tamil Nadu’s population has to do without a people’s representative...,” it has been submitted. “...the split decision delivered by the bench of two judges of the Hon’ble High Court after having kept the judgement reserved for 6 months, has strengthened the view of the Petitioner that since the case involves questions of Constitutional importance, it would be best that this Hon’ble Court transfer the case to itself and decide the same,” the petition claims. It has been categorically stated that the petitioner has a reasonable apprehension of not obtaining a fair hearing in Tamil Nadu because of the fact that “the respondents are very influential and are the incumbent Chief Minister, Speaker and one of the affected party is the Deputy Chief Minister. Further, the daughter-in-law of the Hon’ble Third Judge has recently been appointed as Government Advocate, criminal side of the same High Court. Even on this count the present petition is liable to be transferred out of the State”. In the interim, a stay on further proceedings before the high court, as well as the disqualification order of September 2017, has been sought. In the judgment rendered on June 14, Chief Justice Indira Banerjee had dismissed the writ petitions, upholding the decision of the Speaker, while companion judge Justice M. Sundar had allowed the petitions. The matter was directed to be placed before the next senior-most judge Justice HG Ramesh for the nomination of a third judge. On June 18, Justice S Vimla was nominated as the third judge for the hearing of the writ petitions.